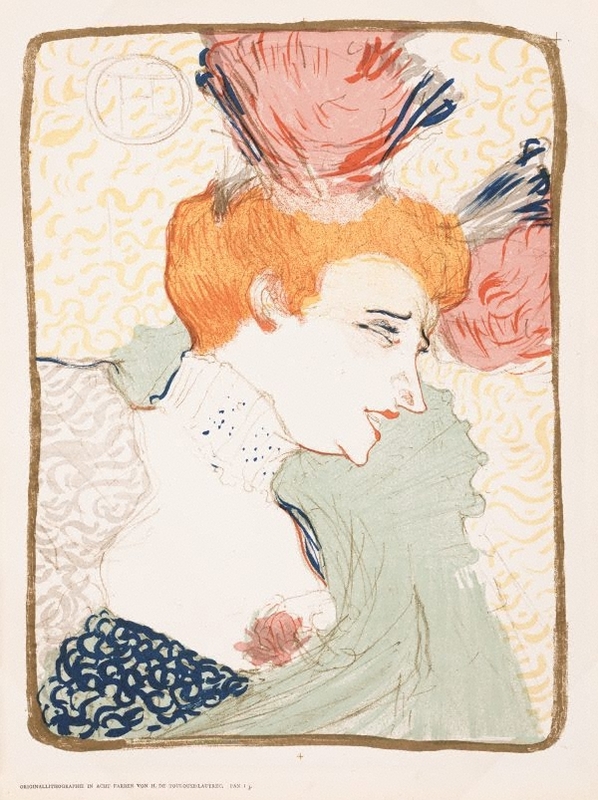 This lithograph was first published in the German arts and literary journal ‘Pan’ in 1895. It depicts the French singer and dancer, Marcelle Lender, in stage costume for the part of Galswinthe in Hervé’s operetta ‘Chilpéric’. Lautrec was so captivated by Lender’s performance – in which she famously danced the Bolero – that he depicted her in three other lithographs the same year. Signed with monogram u.l., brown ink [printed on stone] "HTL[circled]". Not dated.